6300901 20BC-9 HYUNDAI 20BC-9 Electrical Forklift BC series. Spare parts catalog. Service Manual. 6300902 25BC-9 HYUNDAI 25BC-9 Electrical Forklift BC series. Spare parts catalog. Service Manual. 6300903 30BC-9 HYUNDAI 30BC-9 Electrical Forklift BC series. Spare parts catalog. Service Manual. 6300904 32BC-9 HYUNDAI 32BC-9 Electrical Forklift BC series. Spare parts catalog. Service Manual. 6300905 40B-9 HYUNDAI 40B-9 Electrical Forklift BC series. Spare parts catalog. Service Manual. 6300906 45B-9 HYUNDAI 45B-9 Electrical Forklift BC series. Spare parts catalog. Service Manual. 6300907 50B-9 HYUNDAI 50B-9 Electrical Forklift BC series. Spare parts catalog. Service Manual. 6300908 20BC-7 HYUNDAI 20BC-7 Electrical Forklift BC series. Spare parts catalog. Service Manual. 6300909 25BC-7 HYUNDAI 25BC-7 Electrical Forklift BC series. Spare parts catalog. Service Manual. 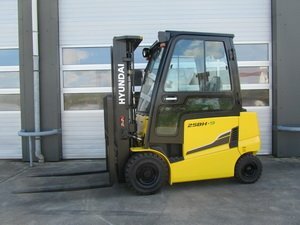 6300910 30BC-7 HYUNDAI 30BC-7 Electrical Forklift BC series. Spare parts catalog. Service Manual. 6300911 32BC-7 HYUNDAI 32BC-7 Electrical Forklift BC series. Spare parts catalog. Service Manual. 6300913 20BH-7 HYUNDAI 20BH-7 Electrical Forklift BC series. Spare parts catalog. Service Manual. 6300914 25BH-7 HYUNDAI 25BH-7 Electrical Forklift BC series. Spare parts catalog. Service Manual. 6300915 30BH-7 HYUNDAI 30BH-7 Electrical Forklift BC series. Spare parts catalog. Service Manual. 6300916 22BH-9 HYUNDAI 22BH-9 Electrical Forklift BC series. Spare parts catalog. Service Manual. 6300917 25BH-9 HYUNDAI 25BH-9 Electrical Forklift BC series. Spare parts catalog. Service Manual. 6300918 30BH-9 HYUNDAI 30BH-9 Electrical Forklift BC series. Spare parts catalog. Service Manual. 6300919 35BH-9 HYUNDAI 35BH-9 Electrical Forklift BC series. Spare parts catalog. Service Manual. 6300921 22BHA-7 HYUNDAI 22BHA-7 Electrical Forklift BC series. Spare parts catalog. Service Manual. 6300922 25BHA-7 HYUNDAI 25BHA-7 Electrical Forklift BC series. Spare parts catalog. Service Manual. 6300923 30BHA-7 HYUNDAI 30BHA-7 Electrical Forklift BC series. Spare parts catalog. Service Manual.